Some mud-slinging racers have gathered at the Georgia National Fairgrounds to swap tips and car parts. It's the Southern Dirt Racers Association Fan Expo. Drivers and fans of dirt racing get together to check out new racing products and auction off everything from tires to race cars. They're holding classes where rookies can get some pointers on the sport. Professional driver William Thomas says you get close with the competition, until you get a little too close and start swapping paint. "You race against the same bunch almost every week, so you know, going up and down the road and traveling together, you definitely gel with some of these drivers and then something might happen, you know, might crash each other out or something then you get mad for a day or two," Thomas smiles. "We get over it though, we get over it quick." 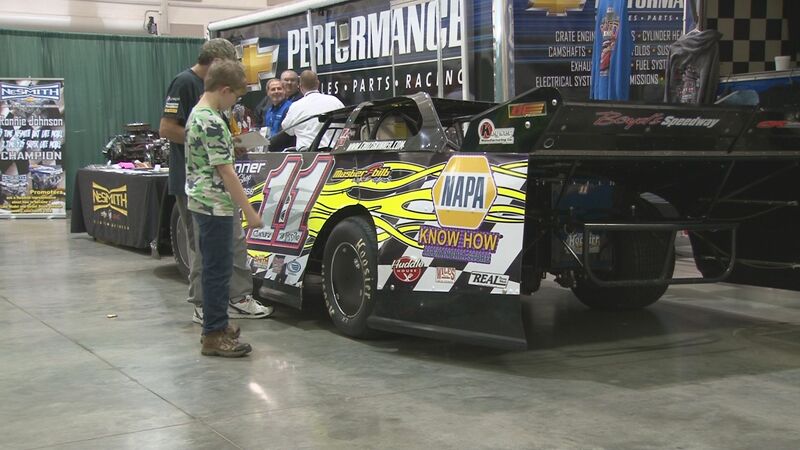 The dirt racing expo continues Sunday at the fairgrounds from 10 a.. to 4 p.m. Admission is $10 for adults, $1 for kids.